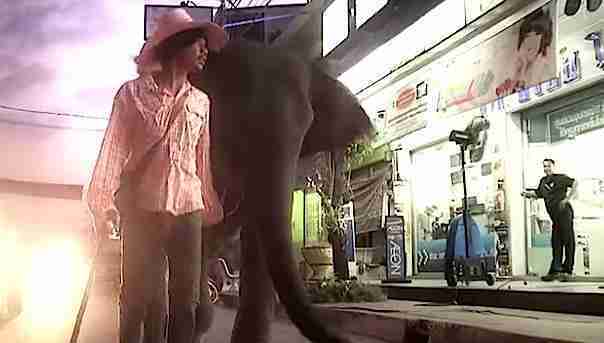 A beggar on the streets of Bangkok loves his elephant so much, he wants her to have a real life. In telling this unusual love story between Wok and his elephant Nong Mai, an upcoming film, "When Elephants Were Young," sheds light on the very real threats and cruelties elephants often face. Elephants all over the world who are tame enough to be ridden by tourists or perform in shows have endured a process called the "training crush," which is pretty much what it sounds like: young elephants are taken from their moms and starved and beaten into submission. 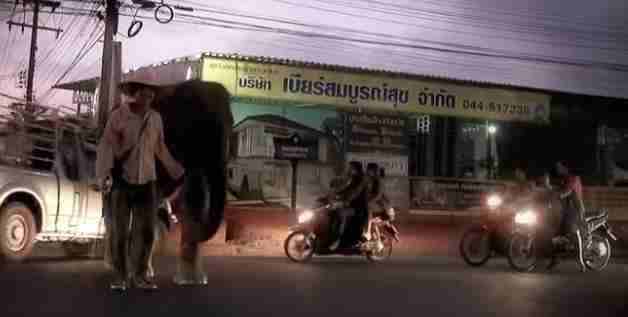 It's thought one of the main threats to elephants in Asia is the illegal capture and "training" of young elephants. But even Wok, who has participated in this industry, has come to see the injustice of treating a wild animal - or really anyone - this way. Luckily, Thailand has been developing a strategy for protecting and replenishing Asian elephant populations. Since 2002, the Elephant Reintroduction Foundation has been releasing formerly captive elephants back to the large wild forests, which are protected from poachers by the Forestry Department. 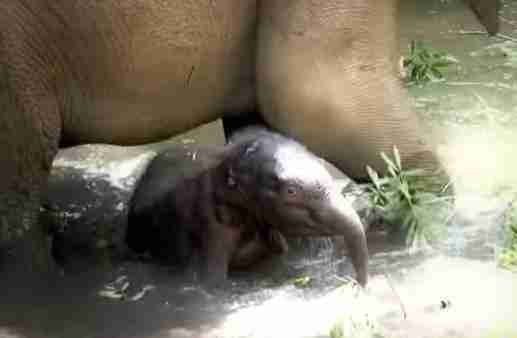 So far, 110 elephants have been successfully released in these forests, according to Patricia Sims, director of "When Elephants Were Young," and some of these elephants have even started families: 12 baby elephants have been born to formerly captive elephants in the wild. Other countries (like Cambodia, Laos, and Myanmar) are even starting to follow Thailand's example of reintroducing these elephants. "This film has been five years in the making," Sims told The Dodo in an email, "and we are thrilled to be able to bring some light to the complexity of the human-elephant relationship in Thailand - not only through the story of Wok and Nong Mai - but also by portraying what the critical issues are for endangered Asian elephants as a species." To learn what happens with Wok and Nong Mai (you didn't think we'd spoil it for you, did you? ), click here for more information about the film's release on World Elephant Day in August. Click here to pledge to do your part to help elephants and their habitat.